Each fall, we connect with prospective M.A. students through campus information sessions, online chats and regional events. 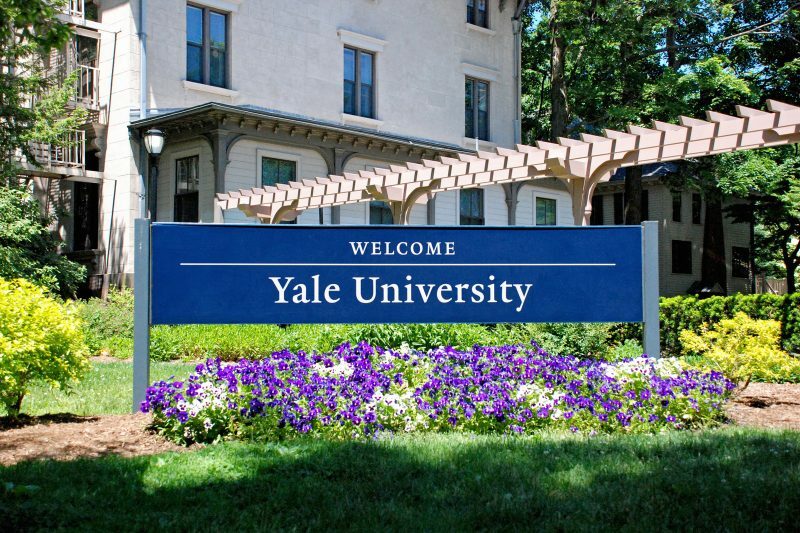 Students apply through the Graduate School of Arts and Sciences at Yale. Each year, the online application is available from mid-August through January 2. All applicants must take the GRE General Test and have official scores released to institution code 3987. It is recommended that you take the GRE no later than mid-December. Students may not substitute the GMAT or LSAT for the GRE. Students whose native language is not English and who did not earn their undergraduate degree at a university where English is the language of instruction must also take the TOEFL or IELTS exam. The minimum score required for the TOEFL is 102 on the internet-based exam (iBT) or 610 on the paper-based exam (PBT). A score of 7.5 – 8 on the IELTS is roughly equivalent to the required minimum. In addition to the credentials/supplemental materials required by Yale Graduate School, the Jackson Institute requires that all applicants upload a CV or resume. No GMAT scores, GRE Subject Tests, or Summary of Science grades are required. To encourage early applications, the Jackson Institute for Global Affairs will waive the application fee for all MA and MAS program applications received by December 1, 2018. A form is not required to receive the waiver. Applicants may still apply until our deadline of January 2, 2019, but the fee will not be waived for applications submitted after 11:59 pm EST on December 1. No preference will be given to early applications. Full-time work, volunteer, or internship experience is strongly preferred. Prior experience in the fields most relevant to global affairs or international study – history, political science, and economics — is a valuable asset in pursuing an M.A. in Global Affairs. It is strongly recommended that entering students have taken introductory courses in microeconomics and macroeconomics prior to matriculating. These courses may be taken at any college or university, as part of an undergraduate degree or separate from it. View bios of our current graduate students. Prospective students are welcome to visit the program or to speak with Jackson staff. We hold information sessions several times in the fall of each year. Please visit our admissions events page for a list of upcoming events. The Institute hosts online chats for prospective students during the fall admissions season and over the summer. The webinars provide an overview of the admissions process and a Q&A session with admissions staff. Visit our admissions events page for a list of upcoming sessions. You can also view past webinars on our archive page. In the spring of each year, applicants who are offered admission to our graduate program are invited to the Admitted Students Program. Guests receive a specific invitation after admission decisions are announced. Admissions staff and alumni volunteers from the Jackson Institute for Global Affairs participate in a number of recruitment events for prospective graduate students around the globe. Visit our admissions events page for upcoming events.